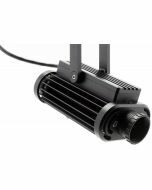 Irideon FPZ pairs the best of the Source Four Mini LED platform with exceptional output and a sleek industrial design to light your space with elegance and subtlety. Available for use with ETC's DataTrack system, the feature-rich design is perfect for museums, lobbies, and retail environments. Irideon FPZ gives you the versatility you need to create the beautiful light you want from an integrated, unassuming design that won't dominate your space. 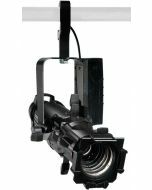 Truly a Source Four fixture at heart, Irideon FPZ boasts its own set of enhancements such as lockable 3-plane shutters, zoom optics, and the ability to dim using either DMX or a local dimming knob. 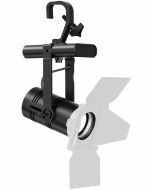 But the beam is still everything you expect and more; Irideon FPZ puts out over 800 lumens, 33% brighter than Source Four Mini LED and every bit as pleasing to the eye with a wide selection of color temperatures. 14.3" x 12.6" x 5.8"